Bernie Sanders VS. Black Lives Matter: How Is This Helping? Let me just hit you with the hard facts before we jump into this morass of stupidity and futility. This Saturday in Seattle Democratic-Socialist and presidential-hopeful Bernie Sanders was holding a political rally for his campaign. Shortly after beginning, a pair of protestors from Black Lives Matter (a nation-wide movement speaking out against police violence towards African Americans) climbed up on stage. 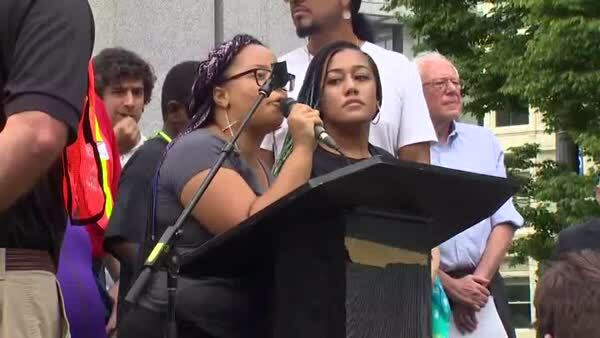 The two protestors, for some twenty minutes, recounted grievances of the local black community and scolded Sanders for not having been vocal enough about police violence towards minorities. “…Join us now in holding Bernie Sanders accountable…” stated Marissa Johnson, one of the protestors.